If you are looking for information on the Lil Angels Photography franchise business opportunity, Lil Angels franchises or Lil Angels Photography franchising, then you have come to the right place. Rated repeatedly by Entrepreneur Magazine as one of the world's top 500 franchises, Lil' Angels Photography is a network of franchise owners specializing in children portraiture. Taking its state-of-the-art set-up on site to preschools, daycares, and other child care centers, each franchise provides professional studio quality portraits at school picture prices. While many franchises claim to require minimal investment, there are often associated costs that are kept hidden. Lil' Angels lets prospective franchise owners know before they buy exactly what they get for their very reasonable investment. Since Lil' Angels takes its studio to the customer, there are no special building requirements. The franchise owner can easily office from home. Franchise owners manage the scheduling of shoots and selling of portraits. Because of the nature of the childcare industry, most business activity is typically occurs Monday through Friday, leaving weekends open. People love photos, especially those of their children. 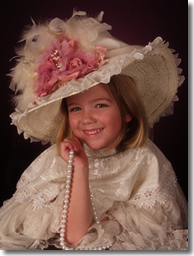 Lil' Angels provides customers a hassle-free way to get high quality children's portraits. 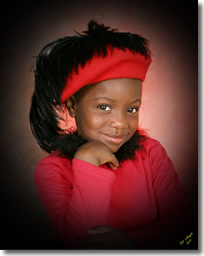 The most popular product is a fun, theme portrait program called "Fashion for Kids." 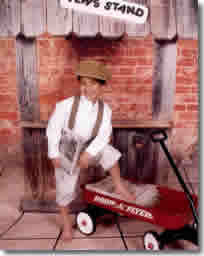 Children are photographed in up to four supplied outfits that fit right over their clothes. To ensure outstanding results, Lil' Angels entrusts the printing process to one of the finest professional labs in the country. The Lil' Angels leadership team has over 100 years of combined experience in the photography industry. They are eager to share this expertise with franchise owners. Lil' Angels, LLC provides franchise owners with state-of-the-art equipment, valuable training, and ongoing guidance and support, laying a solid foundation for success. It's up to the franchise owners to come with an eagerness to learn and willingness to work hard. Each franchise owner is designated a geographical area where no other Lil' Angels photographer is permitted to shoot. Having a set territory eliminates competition within the Lil' Angels network. A great way to earn additional dollars for your franchise is through referrals. If you refer someone, you then can earn part of what they sell. Our commission program is unique to Lil' Angels and our vesting program extends the opportunity to earn additional income to you for a lifetime. Lil' Angels provides a strong support system for its franchise owners. When you are in need of advice or help with a problem related to your business, the leadership is just a phone call away. Another way that Lil' Angels provides ongoing support is through regional training sessions and national conferences. At these events, new products and marketing strategies are unveiled, questions are answered, and relevant instruction is provided to help franchise owners succeed in their business. Networking among franchise owners is another very important benefit to these events. Getting to know each other and learn from each other is so important to the franchise's growth. As you evaluate whether or not to move forward in your future with a franchise like Lil' Angels, do not underestimate the value and importance of having this growing network of like-minded professionals on your side. When you compare, we stand head and shoulders above the rest! What do our franchise owners say about the training they have received? "When you guys said you think of everything, you really do think of everything; even down to the smallest detail." "The instructors were well prepared and did a great job presenting the material." "As a single parent, Lil' Angels has provided me the flexibility and income > to raise my daughter properly. I get to pick my own schedule so I am able to > attend all her important events. It continues to be a wonderful experience." "Lil Angels lets me do what I enjoy, working for myself. I drove a truck for 31 years and now I make my own hours. I would do this again, but I would have done it earlier."